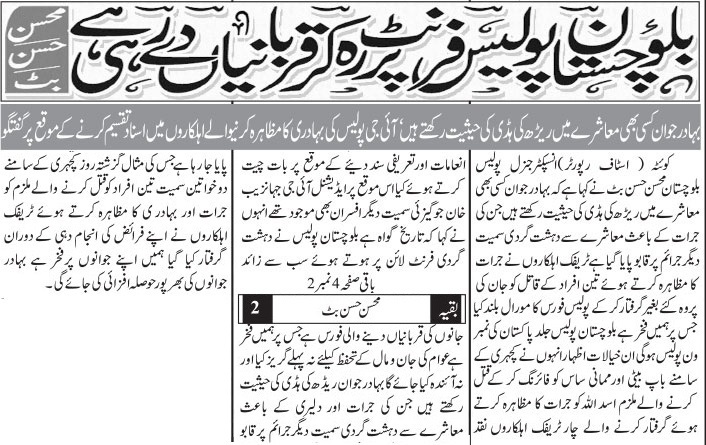 Balochistan Police has gone through a number of transitional stages from time to time. Almost the entire world is keenly following developments taking place in Balochistan in the wake of newly emerging geo-strategic importance of the province. By the grace of Allah Almighty, I have accepted the challenging assignment of office of the Inspector General Police, Balochistan. I express my gratitude to the Federal and Provincial Governments for reposing confidence in me to command Balochistan Police which has rich traditions of professionalism. Through this first communication, I pay tributes to “Shuhada” of Balochistan Police and convey my good wishes to all the ranks. No doubt, I have assumed the command of the Balochistan Police at such a time when Balochistan Police is facing challenges of terrorism, target killings and law & order alongwith conventional crime. While being mindful of human and other resources issues, I have full confidence in the professionalism of the force. I am confident that through better coordination and up-gradation of working standards, we will be able to improve the situation through synergy. 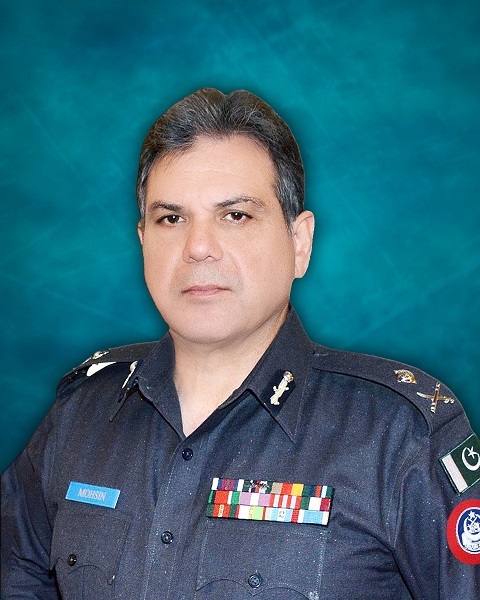 I am sure that all the members of the force will step forward and work with new resolve, zeal and vigor to combat against wave of terrorism, target killings and conventional crime to bring stability in law & order situation. I would like to lay special emphasis on the proper manpower management, financial administration, development activity, welfare/morale of the force, purposeful inspections alongwith follow up, internal and external accountability, civilized public dealings and prompt redressal of public complaints. Please make it a point that the authority delegated to us is by virtue of public service and is a sacred trust. There should not be a single instance of misuse of authority and state resources. 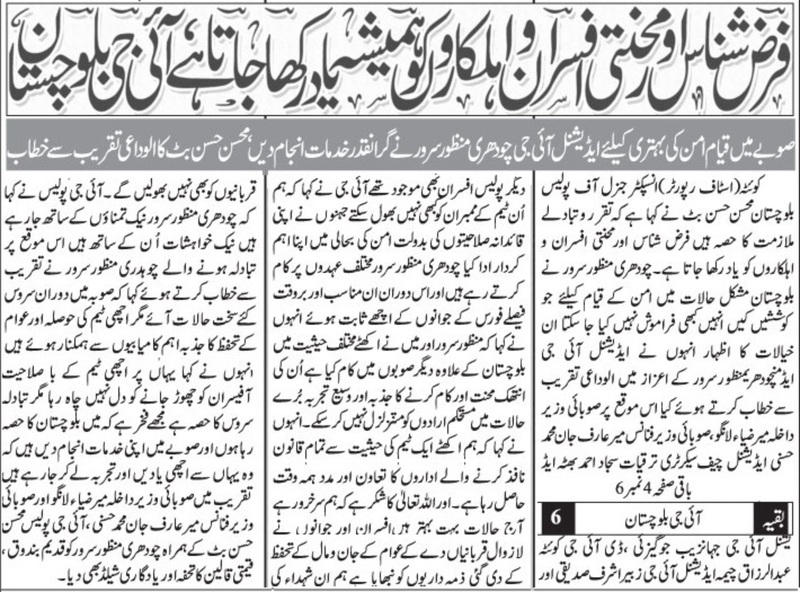 Justice and fair play are to be ensured as per dictates of rule of law. May I emphasize that high standards of discipline, honesty and integrity are the essential attributes of Police Service. It will be my utmost endeavor as Inspector General of Police to achieve these most cherished goals. I will shortly convene a Command Conference of RPOs and all senior officers to draw police strategies, priorities and other issues. In the end, I pray for the peace and tranquility of the Province, glory of Police force and personal well being of all the members of the Constabulary. May Allah Almighty guide our path and bestow upon us His blessings.